With nearly 10 million people within 100 miles of the Polk County/Central Florida region, and roughly 20 million people within 200 miles, there’s no wonder why Polk is known as the logistics hub and THE place to build warehouses and distribution centers. 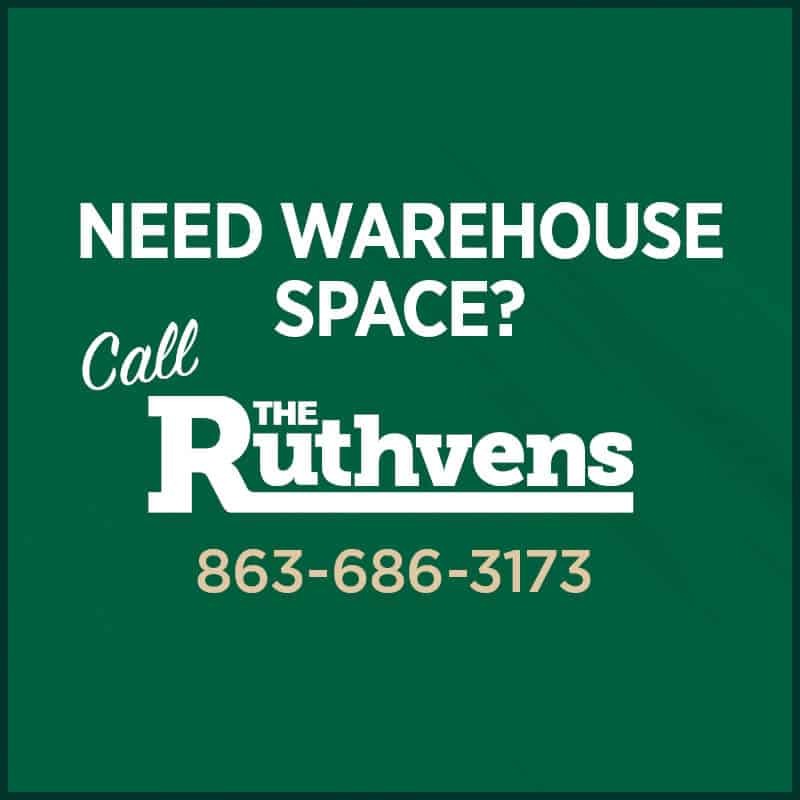 For 60 years, The Ruthvens have been at the forefront of warehousing, and with plans for the future already cemented, that’s not likely to change. Statistics compiled on a national level bear that out. The vacancy rate in Polk County and Central Florida is about 4 percent, and the asking rates are expected to rise 1.5 percent year-over-year, according to a first-quarter 2018 research outlook by Jones Lang LaSalle Inc., an international professional services firm specializing in real estate.